Somehow I've managed not to have any stories here about the "free" store in Talkeetna. 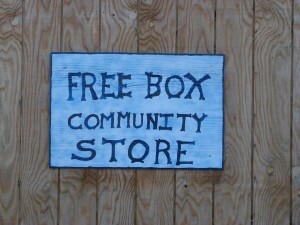 Known as the Free Box Community Store, everything in the "store" is indeed free. The concept is simple: If you need something you're welcome to stop in the store and see if they have what you need. If you don't need something any more you're welcome to drop it off at the store for other people that might need it. In my case I recently needed a hair dryer to dry out my car after it sprung a leak and flooded, so I walked up to the Free Box to see if they had one. A couple of hours before they did have one, but they had just given it away. Interestingly, the town is so small, the man that was working there told me who had it. It was a girl named Holly who (along with her husband) runs the local hostel. Picture #2 shows what it looks like from the front. On the day I took these pictures the store was closed, and you can see a few items had stacked up on the front stairs. 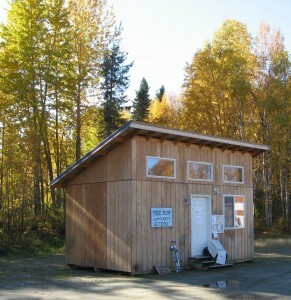 The tank on the right side of the building holds the heating fuel (kerosene) used to keep the Free Box warm on cold days. 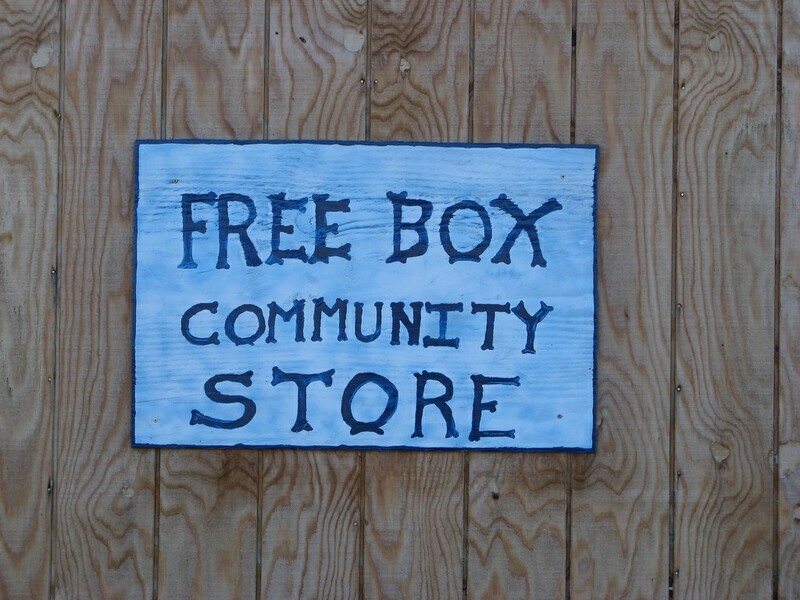 All the workers at the Free Box are volunteers. If you want to volunteer one day, just walk in and let someone know, and they'll point you in the right direction. 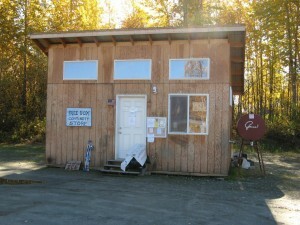 As I get ready to leave town, they need money more than they need volunteers to help pay their fuel bill for the winter.